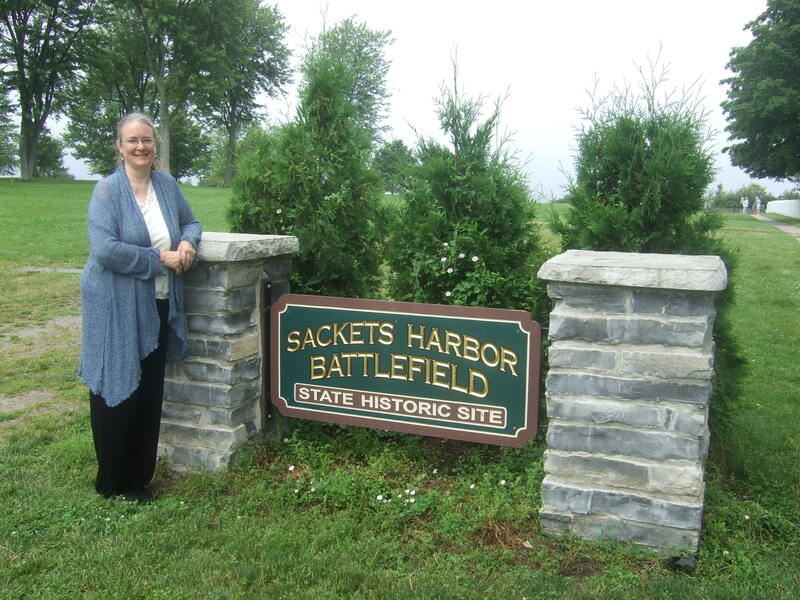 This entry was posted on May 5, 2015 at 7:15 pm and is filed under Caroline Abbott books, Sackets Harbor Battlefield State Historic Site. You can follow any responses to this entry through the RSS 2.0 feed. You can leave a response, or trackback from your own site. Thanks for sharing this post and these photos. It must be like saying good-bye to an old friend. However, I feel certain the Caroline stories will remain alive in the hearts of many young readers. The bitter sweetness of change. Thanks for the kind words, Nancy. I had hoped to do more with Caroline, but I have many wonderful memories, and am grateful. I am sorry to hear this news. My granddaughter, Caroline will be greatly disappointed. It will make our vacation in Sackets Harbor this July (which includes your reading) bittersweet! I’m so glad you’re coming to Sackets Harbor! It will be bittersweet for me as well, but whenever I’m around the girls, all I can think is how fortunate I’ve been to have had this opportunity. See you both in July! Our daughter loves her Caroline doll and story. We appreciate what she has learned about our country’s history from a girl’s perspective. Keep writing! We thought Caroline’s story would have made a great movie! Thank you, Carrie! I’m so glad your daughter has enjoyed the books. I loved writing them–and I agree, Caroline’s adventures would have made a great movie! I *love* writing for young readers, so I hope I can entertain your daughter in the future as well. I was also super disappointed to hear this. One of my first thoughts was of your wonderful efforts which really brought the character to life and the lovely artwork created for them. Such a wonderful and fun history lesson. I hope at least those will stay in publication for some time to come. Really does not seem like enough time at all but I’m very grateful for the storyline. Best of luck in your other future projects! Thank you, Renee, your kind words mean a lot. I so glad you’ve enjoyed Carolines stories. I had more stories to tell, but I’m grateful for what I was able to do. 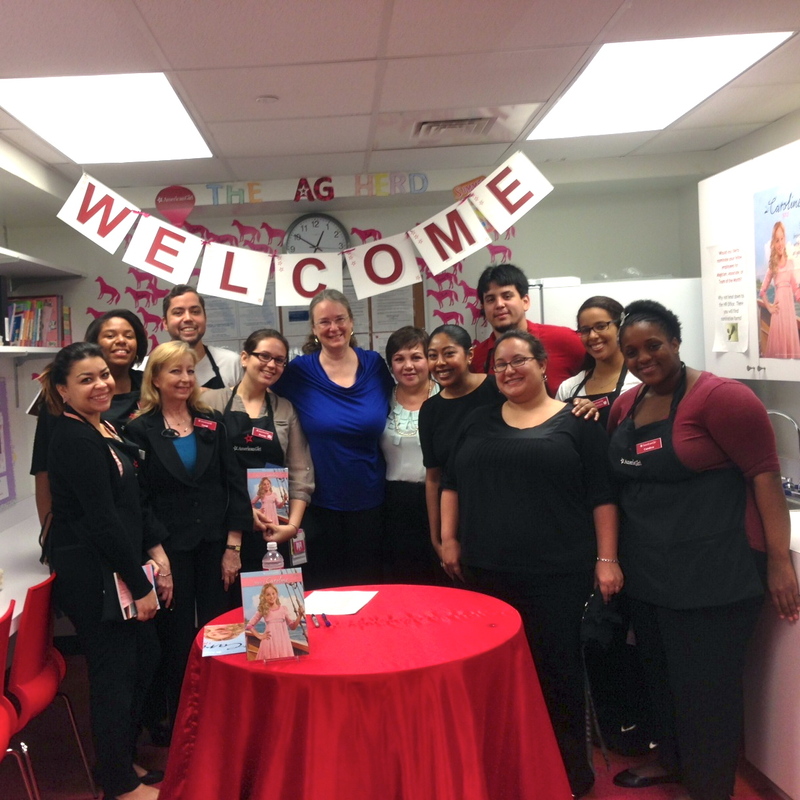 I love writing for your young readers, so I hope to find a new opportunity to do so. Such a bummer! I thought Caroline’s stories were some of the best – I feel like they’re getting rid of the stronger characters among the girls in favor of something tamer. 😦 I guess Caroline’s just not frilly enough for them. Thanks so much – I’m glad you enjoyed Caroline’s stories. I’m sad too. I heard about this sad news before AG announced it to the world. I’m disappointed they’re sending her into the so-called archive so soon. Without Felicity and Caroline, there’s a sad lack of early American girls whose stories tell the foundation of our country. I enjoyed the books and regret not buying them. I hope find the set some time and share them with my nieces. Thanks for your kind words. I’m sad too, but will always cherish the memories. It was marvelous to have the opportunity to create Caroline and write her stories, and I met too many wonderful girls over the past three years to count! I got Caroline for Christmas. She’s beautiful. We bought her in October to avoid missing out on getting her. Even though Caroline is gone will you still write books about her? I want to see what happens to Caroline next. Is it possible that American Girl will bring Caroline back someday? Hi Cayce – I answered on another post, but wanted to reply here as well to be sure you saw it! I’m very glad you were able to get Caroline before she disappeared. I’d love to write more Caroline stories one day, but we’ll have to wait and see what American Girl decides. Perhaps one day they will decide to bring her back. I loved creating the character! I missed the other post Ms. Ernst. Me too. I brushed Caroline’s hair last night, but it didn’t turn out right. I used the wire pick that we got with Rebecca last year. We’re going to take Caroline to the American Girl Store to have her hair re curled. Why did American Girl decide to archive Caroline? Was she not doing well? Watch out for drunk drivers on New Year’s Eve and New Year’s Day. I’m sure the people at the AG store can restyle Caroline’s hair, and give you some tips on taking care of it. As for why Caroline was archived, as a freelancer I’m not privy to the planning conversations at American Girl, so I can’t share any information about that.